Welcome to our first installment of Top Five Best Smartphones in India Series. To tell the truth I am really surprised what smartphone under 10000 rupees can offer. And a couple of years ago, the features which were seen only in high-end smartphones are now usual a feature-set in smartphone under 10000. Don’t you guys think the same? And in price-sensitive country like India, people always search for best smartphones under 10000 in August 2015. So without wasting any time. I’ll showcase the best smartphones which one can get under 10000 Rupees. But before I start let me tell that I have hand tested several devices and felt that these smartphones deserved to be in this list. I have even went across various online reviews and video reviews and thought of popular reviewer and what they have to say about the product. So what I’ve written here is the best piece of information one can find on the Internet. 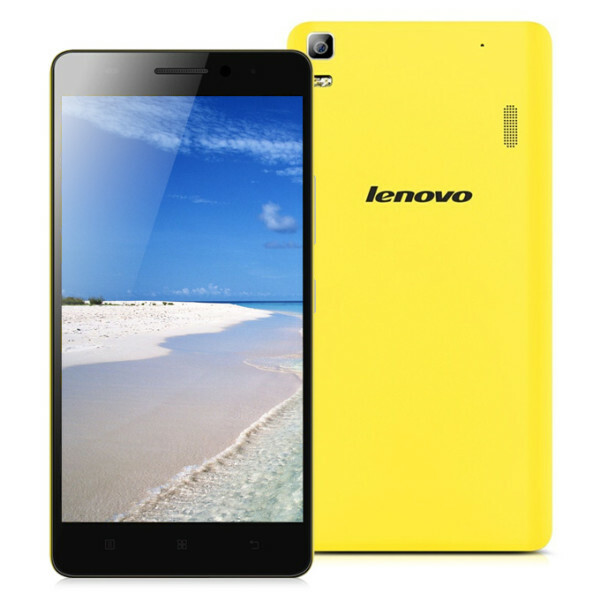 Lenovo is really improving on the market and with the release of Lenovo K3 Note, you get the best budget smartphone or phablet in this range. What makes it so unique and so demanding? Well, the hardware that runs through the vein of the smartphone is what makes it really cool. In 10,000 INR, you will get an Octa Core processor coupled with 2 GB of RAM, a decent HD display of 5.5 inches and 2900 mAh battery. Even though the battery is on the lower side, this is more than enough for an under 10,000 INR smartphone. The display is quite attractive and offers vibrant colors with great HD playback. The K3 is powered by the 1.7 GHz 64-bit octa core and that means that you can literally run any game with this smartphone. On the camera part, it has a handsome 13 MP rear camera which can give you good enough shorts. For selfie lovers, it offers a 5 MP front camera. The front camera might not be that good, but is more than enough for the users. Overall, the package is quite interesting and worth your money. The smartphone also offers good storage capacity, starting from 16 GB of internal memory and 32 GB of an external memory upgrade. Huawei has not much success in the smartphone arena, at least in India. But with their sub 10k smartphones out in the market, they are slowly changing the course with their Huawei Honor 4X review. 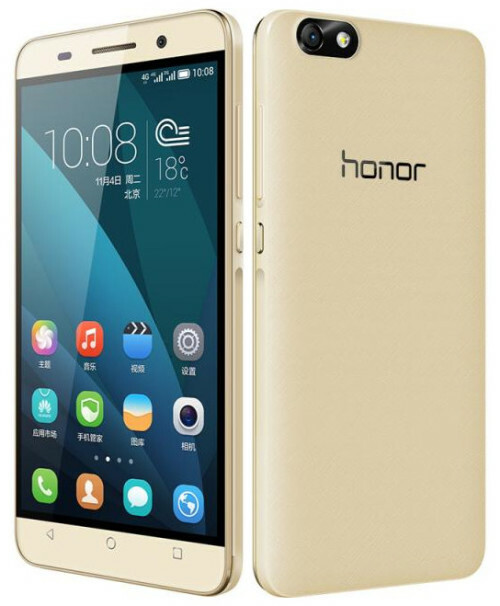 Huawei Honor 4X offers more than a decent hardware. With 1.2 GHz Qua-Core Snapdragon 410 processor, you will not feel any lag of any sort. RAM is also important for a lag free environment, and that’s why it offers 2 GB of RAM. The combination can work wonders for gamers and you can enjoy games without any problems. Similar to other smartphones in this range, Huawei Honor 4X also offers 5.5 inches of display and it is quite the norm of current smartphone to offer bigger display. The Bigger display also means good media experience. The camera quality of the smartphone is also good, offering 13 MP for rear position and 5 MP for the front position. With 8 GB of internal memory, there is enough storage for the mild usage. If it is not enough you can upgrade to the external 32 GB. The battery is 3000 mAh battery that can last long for medium users. If you are the heavy user you may not want to opt for this smartphone. Micromax Yu Yureka is one of those smartphones that anyone just cannot ignore. I, myself has Yureka and I do vouch for it. The segment is highly competitive and Yu Yureka surely brings the right hardware in this segment. 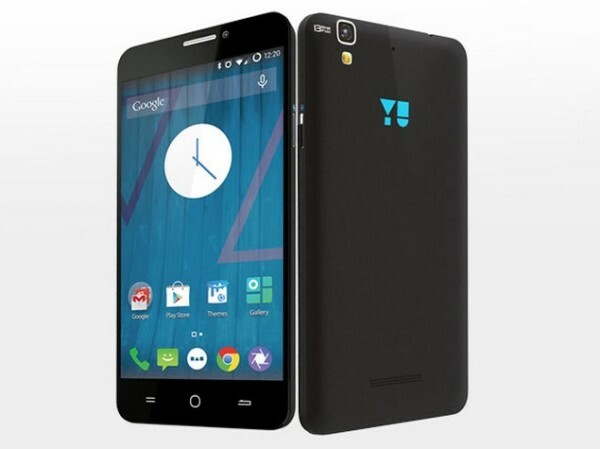 The Yu Yureka offers great features including Cyanogen Mod for software purposes. The hardware is quite high-end and it is tough to get such a good hardware under 10,000 smartphones. With 64 bit Octa Core Qualcomm Snapdragon processor, 2 GB of RAM, CyanogenMod 12 OS, 5.5-inch screen, 13 MP rear and 5 MP front camera, the smartphone is a steal. Storage capacity is also good and you will get 16 GB of internal memory to start with. If you are not satisfied, you can extend up to 32 GB. Battery life is a little low, but hey the phone is just under 10,000 and it is a still for you and anyone else. A while ago I started missing all the phones that Nokia produced and that too which had cult following. So I decided to take matters in my hand and designed an infographic on 21 of cult-classic Nokia phones. This will bring back old memories for die-hard Nokia fans. When you look around the smartphone, all of them have one thing in common — great specification and you will probably want to die for it. This is not true in case of Motorola phones. They aim at providing excellent user experienec and that can leave out on the hardware. The Motorola Moto G offers great out of the box, 1.2 GHz Qualcomm Snapdragon 400 Quad-core processor coupled with 1 GB of RAM. It offers 5 inch of display protected by Corning Gorilla Glass 3. With dual-sim and water resistant, it will last a long time. The camera side of the smartphone is 8MP rear and 2 MP fornt. It has decent camera capabilities and you can store all your images in the 16 GB internal. With 32 GB of external smartphone, you can be sure that you will not loose the capacity of stroing your mmeories. The smartphone is quite medium on specs, but do not forget the great experience it offers. The moto g is free from any lag and is surely going to work great. It offers 2070 mAh battery and runs Android 4.4. The #1 Position is Locked! Click on any one button. Share the article, and see who holds the #1 Position! Thank You for sharing this article. Here’s the smartphone on #1 position. Previous Asus smartphones weren’t able to make the buzz as the Zenfone has created. To be true, it holds its own unique position in the market. If you are surprised by Asus Zenfone 5’s inclusion in the 1st place. I’ll give you enough reasons why you shouldn’t be. 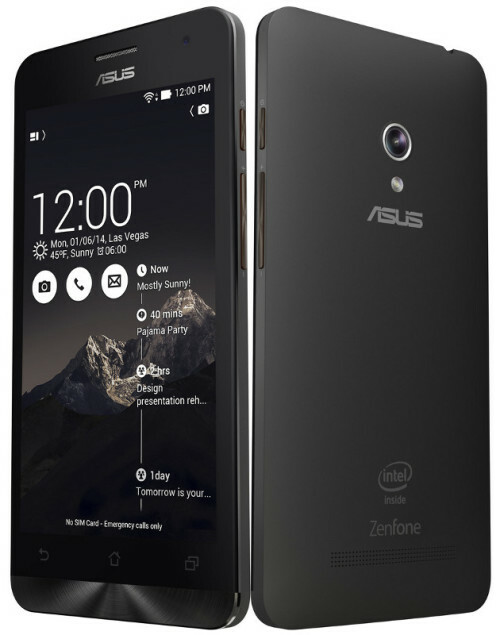 Asus Zenfone 5 features a 1.6 GHz Dual Core Intel Atom Z2560 Processor with Intel Hyper-Threading Technology chipset. This chipset has 4 threads which mean the processor has 4 CPU’s of 800MHz each soldered inside two cores. The best part is it offers 2GB RAM which isn’t available in any phone in this price bracket. It has an internal memory of 16GB and can be expanded to 64 GB via micro SD card. The screen size is 5 inch with a resolution of 1280 X 720 pixels (294ppi) protected by Gorilla Glass 3. The phone weighs 145 grams which make it compact and easy to use. It features a 2MP camera in the front whereas has an 8MP camera at the back which can take very detailed snaps in the bright and florescent light. Compared to any other smartphones under 10000 in the list, Asus Zenfone 5 has the best camera (No doubt in that). On the software front, you get Android Jellybean 4.3 OS and is upgradeable to Android Kitkat 4.4 OS. This makes the deal a lot sweeter. Asus Zenfone 5 features a PowerVR SGX 544 MP2 GPU which gives a great performance in gaming. It also has Zen UI on top of Android Jellybean 4.3 which brings in apps like What’s Next, Do It Later, Omlet Chat, PixelMaster, Zen Link, and Open Cloud. Asus Zenfone 5 also features PixelMaster Imaging Technology which helps in clicking vivid pictures. As per my experience, the camera only over saturates the images which make it look vivid. Asus Zenfone 5 has a shiny plastic part below the capacitive button which does looks like metal but it isn’t. Though not required but it gives an exclusivity to already identical and boring looking Android Smartphones. The back panel is curved on the edges. This makes it easy to hold. The built quality is superior, while the back panel is all plastic; has a solid grip. Inside the box: Asus Zenfone 5 Handset, USB cable, Wall Charger, Standard Earphones, Battery, User Manual. I certainly believe you would have liked the list. And you would have unlocked the First Position. I’ve tried my best to include the best smartphone in this price sensitive segment. If you do have any complains about the list, make sure you leave a comment below. Or any other smartphone you believe should have fit the bill? Let me know. And don’t forget to share. Really its a nice list of smart phones. in my opinion moto E is the best and maximum selling smart phone in short time at Flipkart and now its price at at Flipkart is RS 9999. I so glad for your response. 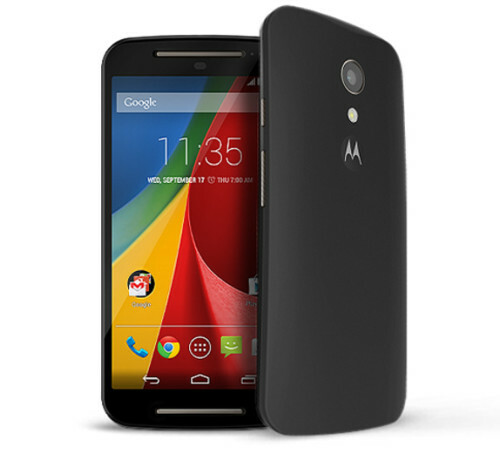 And yeah considering the price Moto E is offering very great options. And feature like Gorilla Glass 3 and QHD screen is very cool. And I checked fiipkart. Wow what an article. I have an iPhone . . . but it is interesting to see what else is out there. I am a Windows person, but for some reason I jumped over to Apple for the phone and am a dedicated iPhone user. But wow you showed some choices for people. I didn’t know the info you talk about under the Micromax Canvas section. Really? You said “Micromax said it was going to release new Canvas smartphones every month.” I really did not know that any company would even think of doing that. You know in iPhone land that never happens. And, I am glad. I like knowing that what I have is not going to be obsolete in the next few months. Then you expanded and said Samsung releases new phones frequently. I did not know this. I am a little isolated with the iPhone. So, this is very interesting. Abhishek, this is a lot of research. Good job on an informative post. You really are one of those person who not only appreciates an article but also the writer’s research and hard work behind it. And to tell you the truth, since you use an iPhone, you don’t really have to worry about anything. Because you’re really on a safe land with an iPhone. But then in country like India, an iPhone really costs 20-30% more as compared to its price in US. And only the rich people have the resources to buy it. But then Android phones have opened a great options for smartphones under very tight budget. And yeah, Micromax is third largest Phone Company in India and 12th largest in the whole world. And they keep putting up new smartphones every month. But the phone I listed here is one of the best in the budget we’re talking about. So I had to include it. And yeah, you can see, Samsung too keeps dishing out new smartphones and tablets every other month. It’s a strategy called carpet bombing. And really thanks for the response. I appreciate it a lot. A common list. List of these kind of phones are very common almost every blog is sharing list on phones. Domain name is All Tech Trix and I think you should stick with Tricks. I hope you’ll take my comment in positive sense. And Yeah I did took your thoughts in positive sense. And I’m glad you raised your voice. To tell the truth, most of the list I’ve seen on other site; aren’t well researched. And are just there to be there. But every phone I’ve listed here, I’ve used them, played with them and tested them too. And hence I’ve come with a result. And yeah, I accept, the website name contain tricks. And will definitely come up with more and more tricks. I am surprised to see XOLO’s mobile in top5 instead of Samsung’s mobile. I mean, are you sure that there is not a great phone from Samsung in the range of 10K better than Xolo mobiles mentioned here. I would say, Motorola Moto E is really a great phone. I recommend this phone at #1 instead of Nokia Lumia 525. As Android 4.0 is always better than Windows 8.1 (personal opinion). Anyways, thanks for sharing it on Kingged.com. I am glad you’re concerned about the brands. But honestly telling, there isn’t a phone from Samsung stable that would even have a chance against the Xolo Q700S. And regarding the 1st place. I’ve taken many factors into consideration. And the biggest problem with Android is; when you starting installing a large number of apps. The OS starts to slow down. And even the camera isn’t upto the mark. And many things were too considered. Seems like you’ve listed out all the latest smartphones which are under 10K, actually I was kinda checking new mobiles in the budget to purchase for my brother as a gift. Hey Hello Samir, Thanks for the comment. And to tell the truth, there are probably more than 300 smartphone models that come under 5,000-10,000 bracket. And I think, I’ve listed the best one. This year saw a huge increase in low range smartphone keeping in mind the growing needs and expectations of the user from a smartphone. Well, Isn’t HTC Desire 210 fit to enter this list ? You made a good decision by not including Samsung in this list. They are not fit for budget smartphones. Even if they launch some, the specifications are far less as compared to its rival companies! Another good decision was the inculsion of two Xolo smartphones. They’re really good at making cheap and quality smartphones. I am amazed to see that you’ve included Micromax. They just rebrand devices purchased from Chinese OEMs. Thus, though the specifications are attractive, the quality is at its worst. How about including Sony Xpera E/M in its place? No more words to say! Have a nice day! Such a great post from you ABHISHEK TAVASALKAR, now I can choose the best smartphones. moto E is best android budget phone , coast is 6500 around in flipkart . I really like your information but I think you missed there Yuphoria phones. It’s also really good phone with latest technology features.